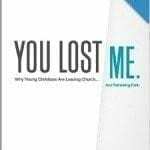 Written in 2007, this book offers a compelling case to leaders on the need for singles ministry in their church. 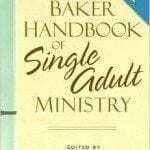 Frank does an excellent job leading the reader through a journey from compelling reasons and statistics to how to start a singles ministry. Although 44 percent of all adults are unmarried, most churches are focused on marriage and families and so miss many opportunities to reach out as well as to benefit from all that singles can offer to the church. 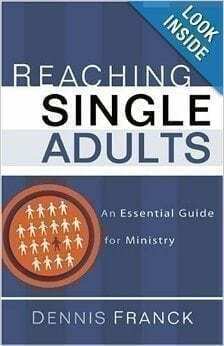 Here at last is an up to date, comprehensive handbook to single adult ministry. Based on his over twenty-five years of experience, Dennis Franck offers church leaders guidance on all aspects of this often overlooked ministry, including: understanding singles’ diverse life situations and needs developing a biblical philosophy of ministry the practical aspects of building a ministry Pastors and lay leaders will gratefully welcome this new in depth resource to guide their ministry to, for, and through single adults.